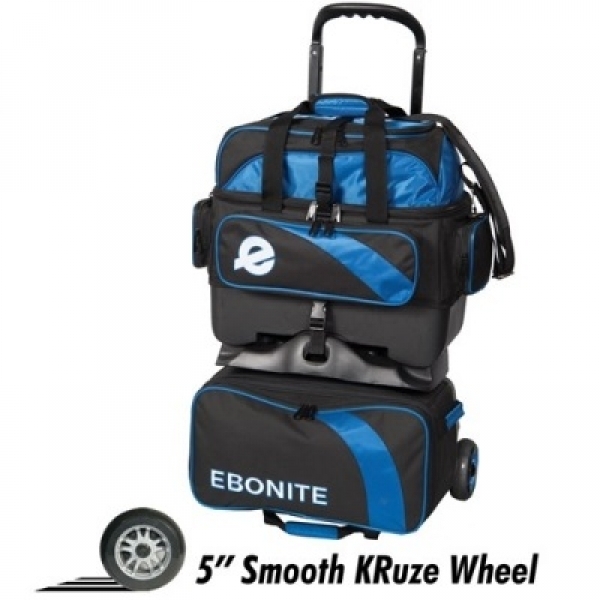 The Ebonite Equinox 4 ball roller is Ebonite's top line bowling bag. This bag not only holds up to 4 bowling balls, but shoes up to men's size 15 as well as accessories. 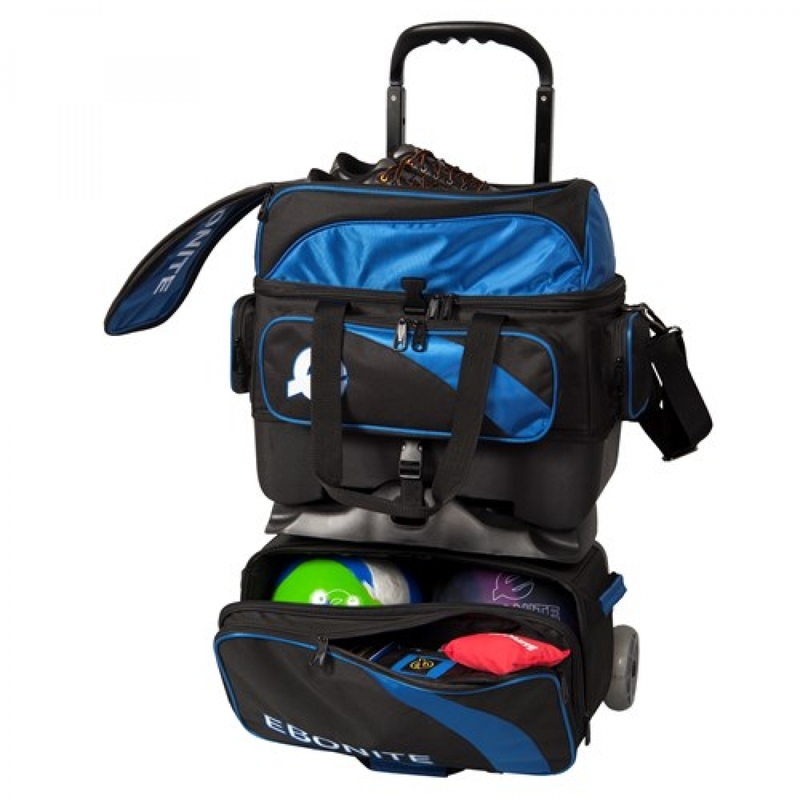 This bag features a top bag that can serve as an independent 2 ball tote. You don't want to miss out on this bag.